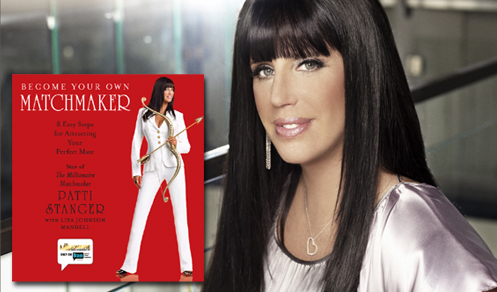 If Patti Stanger Says Your Marriage Will Work, Then It Will! Justin Timberlake and Jessica Biel must be wiping their brows while uttering “Phew!” because Bravo’s Millionaire Matchmaker Patti Stanger just endorsed their marriage! Patti Stanger likes us! It must be because my hair is not curly and I am not a redhead. Let’s jump for joy! The sad thing is I own this book. Hey, if it doesn’t work out, Justin and Jessica can BOTH utilize Patti’s service, The Millionaire’s Club, which annoys me not for what it does (match rich losers with trashy golddiggers) but rather because it is grammatically incorrect! Is there just ONE millionaire??? The apostrophe should be AFTER the S! As in The Millionaires’ Club. Gosh. I’ll shut up now. And don’t say a word if I made any spelling or grammar mistakes in this post.